There are 222 reviews of Encre Noire. 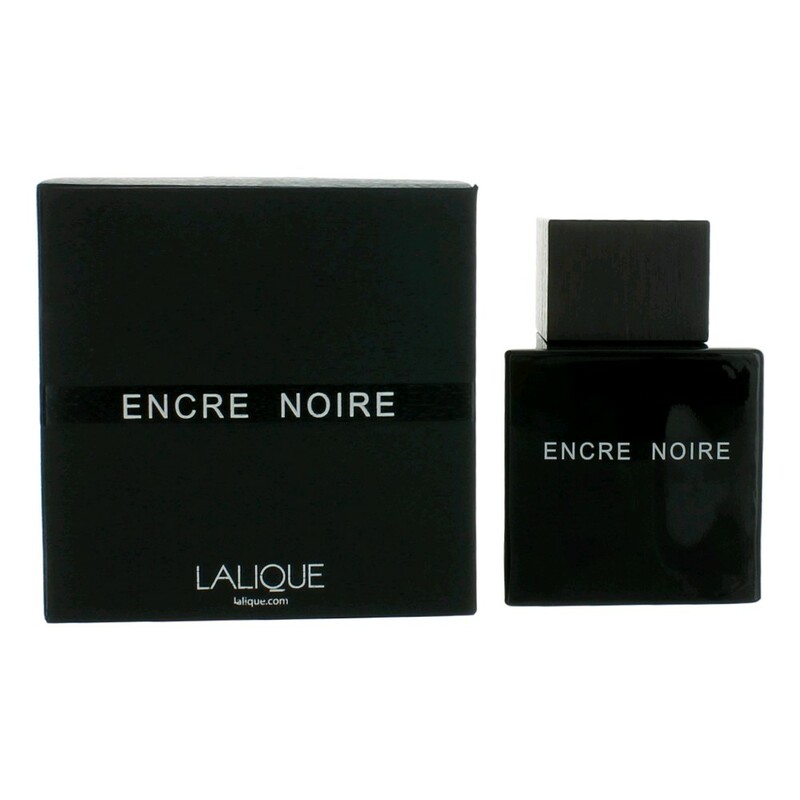 Encre Noire (2006) is an antithesis of Lalique style, as it is both an unadorned scent and a scent in an unadorned bottle. The black sheep of the Lalique family has proven to shine very bright however, and above almost all its other siblings thanks to an unintentional "reinvention of the wheel" effect it has had on the vetiver genre. Vetiver scents in general had basically waned in popularity ever since the days of Guerlain Vetiver (1961), but outside a few noteworthy niche entries like Vétiver Extraordinaire by Editions de Parfums Frederic Malle (2002), there wasn't much by the way of vetiver scents gaining traction in men's circles, and most of the old guard save the Guerlain had faced down discontinuation long before Encre Noire came along. Thus, it has been quite surprising to see this stuff take off, and while not quite mainstream in the sense of distribution and being detected on the street, we wouldn't likely have gotten hugely popular vetivers like Tom Ford Grey Vetiver (2009) if not for the praise of Encre Noire. The scent as penned by Nathalie Lorson shows off several sides to the vetiver note itself, and has inspired some pretty florid prose in reviews of the stuff to boot. I find a dark synthetic and dystopian aura about it, while others see more of a gothic forest or a vampire's crypt, all of which point to this stuff being rather humorless and to-the-point, as a business-friendly scent for men often should be in this day and age. The opening of the scent is pretty much the driest of possible citrus notes coupled with a cypress note that feels like it comes from a synthetic captive, as it is not like any cypress I've smelled. We get straight to the vetiver in mere moments and the opening is all but forgotten as semi-smoky traditional vetiver vibe like that seen in many 1980's scents containing it mixes with classic grassy aspects like the aforementioned Guerlain. An austere inky blackness which conjures all the horror show imagery seems to be the mortar for the vetiver bricks, and again I find myself at a loss to describe what that exactly is, but all the Tim Burton or Hammer House waxings you see in reviews come from that element. Eventually a rounded cashmeran note finds us some respite from the terse vetiver treatment here, as we leave the woods of despair behind to sit in front of a warm fireplace, with cedar, Iso E, and a small puff of musk mallow to give this a final pencil shavings feel when sitting on skin. The scent of Encre Noire roars when coming out of the gate, but quickly loses all steam and becomes a skin scent after just four hours, so go a little heavier on the sprays but not in front of your airways unless you want to become anosmic to the aromachemicals that give this monster life. 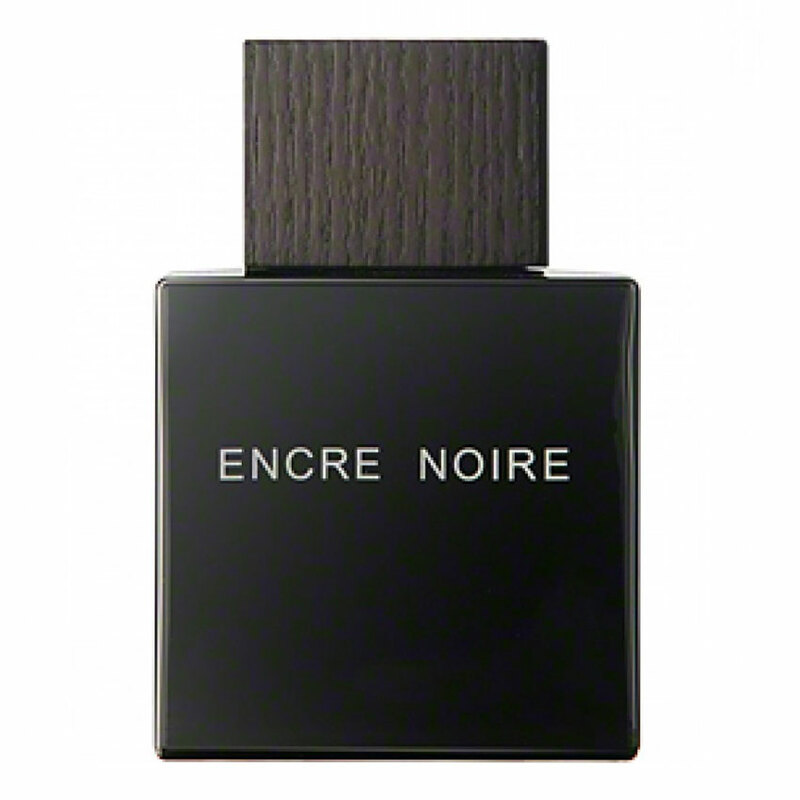 Encre Noire is perfect for work, or black tie events where you know nobody else there, but this is not a "fun" fragrance at all. For a modern vetiver that isn't amped up on a ton of citrus or laced with reams of sweet white musk, Encre Noire is your new dumb reach, as it is all about the vetiver, almost morose however it may seem in presentation. The popularity of this scent has spawned a half-dozen flankers, so Encre Noire is an even more unlikely success in the way it has become a de facto marquee masculine for a perfume house with a legacy of florid glass bottle designs and mellifluous perfumes. Sometimes less is actually more, even for a company usually championing the message that more is typically more, and the hype formerly surrounding Encre Noire is a testament to that. Ask anyone who was active online in any capacity within the community of fragrance enthusiasts in the decade of Encre Noire's release and they will tell you that people just would not shut up about this stuff. I might not echo that same enthusiasm, but I do appreciate the minimalist and futurist treatment of vetiver on display with the Encre Noire, and think is an essential experience to have at least through sampling for anyone interested in vetiver. You may have to go online or off the beaten path with brick and mortar stores to find Encre Noire, but this dark knight is worth the effort, and anyone wanting an uncomplicated vetiver experience without paying luxury brand premiums will also appreciate Encre Noire, even if it is a bit limp in long-term projection. Thumbs up. Very off-putting upon first smell... yet I keep smelling my decant. It is strangely intriguing. It gives off a vibe of negativity, or death perhaps. Can't really put my finger on it, but I also can't say I actually like this scent. I'll come back to it in a few weeks and maybe I will have a different opinion on it and update my review, but for now: OFF PUTTING. Cheap but good crowd pleaser! Encre Noire is an unmitigated masterpiece. It is all vetiver, all night long. And I love vetiver. I won't bother assigning a gendered opinion: I think it would be equally fitting for men or women. The fragrance isn't quite as dry to my nose as I was expecting. A small amount of musk tempers the vetiver overload and serves as an effective, understated conduit for the essence of this fragrance: have I mentioned vetiver yet? Encre Noire's woody, smoky vetiver conveys a certain dampness that is only occasionally upended by slight, intermittent bitterness and astringency. In this regard, I find it significantly different than drier fragrances of a similar ilk. I attribute the lush, comforting dampness to Encre Noire's lack of cedar: cedar tends to create a more biting, sharp experience. Encre Noire is very "round" and "wet" to my nose. Sillage is likely average, though it's difficult to tell with the presence of ISO. Yes, there's ISO here. I don't find it detracts much from the experience, though it can make you a bit nose-blind after awhile. Longevity is on the shorter side of average. Overall, it's a gorgeous fragrance that evokes dark, rainy nights; bonfires; long drives through the forest; and - surprise surprise - all things goth. I'd imagine this fragrance would be right at home on somebody like Peter Murphy or Morrissey. It makes me want to curl up on a couch and watch the X-Files. Resounding win from Lalique, and for the price it's worth the risk as a blind buy. This scent inspires reviewers to wax about gothic castles and damp forest floors, of dense, woody darkness, of smoldering fires and carpet-thick smoke. It's all a bit overblown. Encre Noire is a sheer, translucent veil of smoky, woody vetiver, and little else...but it doesn't need anything else. It's a beautiful scent, paradoxically light and wafty given the typical denseness of vetiver and woods, and sporting just the right amount of vetiver's characteristic nutty sweetness. (It's also an Iso E Super bomb, so be aware of its tendency to fool your nose into thinking it's disappeared. The lasting power and sillage are actually substantial, provided it's not in your nose's blind spot.) Far from its reputation as a love-it-or-hate-it iconoclast, I find Encre Noire full of personality, yes, but agreeably so. It's well-mannered and soft-spoken without being boring, and it impresses without trying too hard. And yes, it's perfectly wearable during the day, to the office, in hot weather, whatever the occasion. This stuff is built to be worn, not admired like an avant-garde jewel of niche street cred. Vetiver haters need not apply, of course, but the rest of you owe it to yourselves to smell this delicious showcase for one of perfumery's pillar ingredients. Encre Noire Sport Lalique - What's your thoughts on this one? Encre Noire Pour Elle Lalique or Burberry Brit Sheer? Lady gift! Encre Noire Pour Elle Lalique or Burberry Brit Sheer? 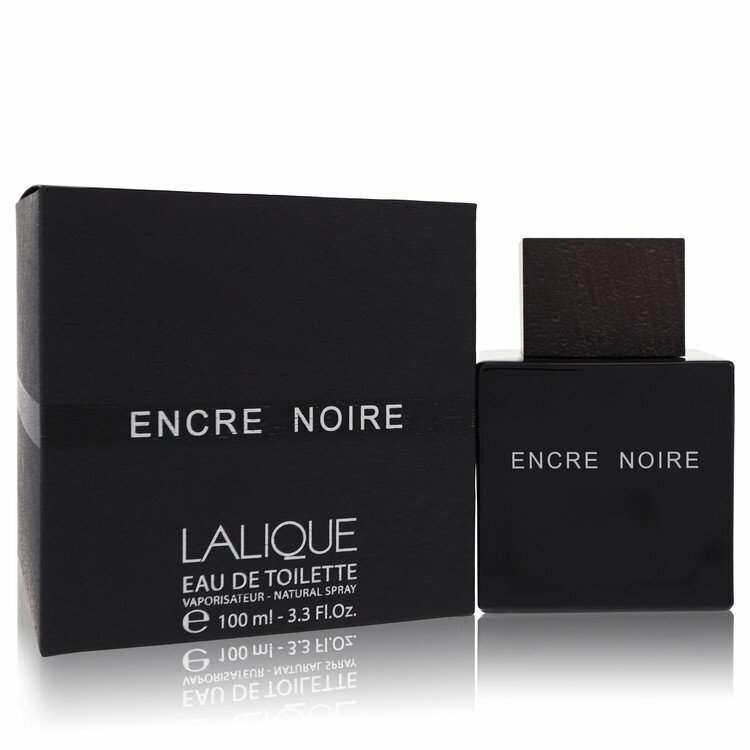 Blind buy Lalique Encre Noire Sport, would you recommend it?